Here is link to current weather conditions at Gilgo Beach. Gilgo Beach, NY images of the ocean at east end of the parking lot. Uploads are the same as on gilgo.com but double the size so going to lose some resolution. gilgo.com offers a short mov file, that is updated every 30 minutes, showing a frame a minute played back at 1 frame a second so you can quickly see the ocean surf conditions from the last half an hour below. 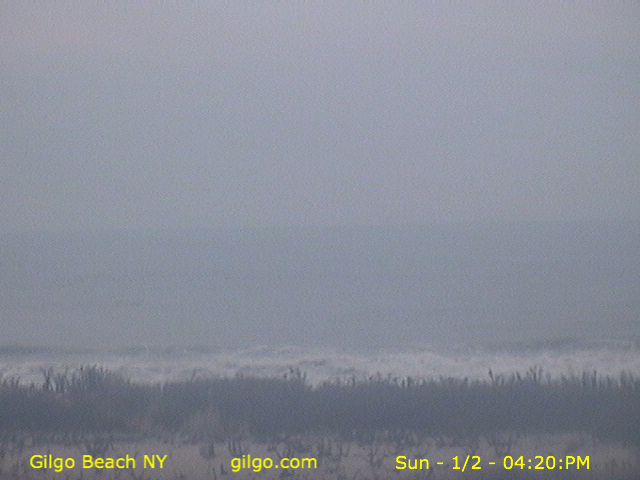 gilgo.com offers a Live Surf Cam from Gilgo Beach, New York featuring a current jpeg image of the ocean wave condition updated every minute.